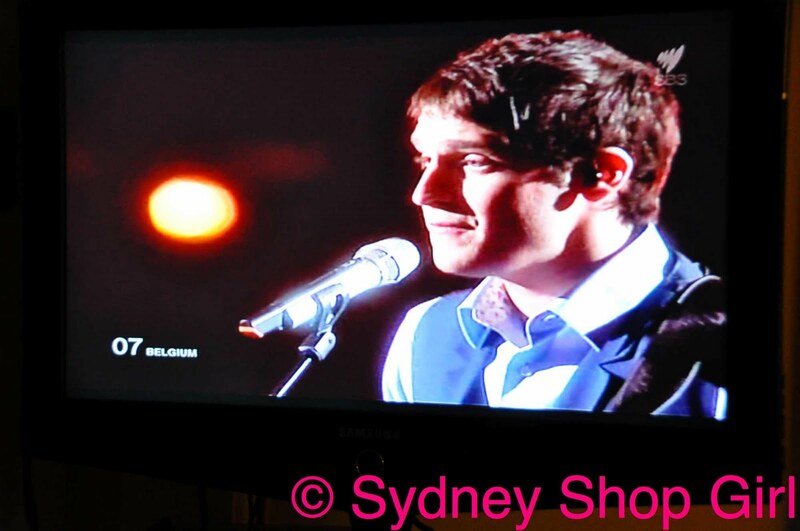 Sydney Shop Girl: Eurovision Made Me Miss Paris (the Hilton). Weetbix. A Dying Swan. Eurovision Made Me Miss Paris (the Hilton). 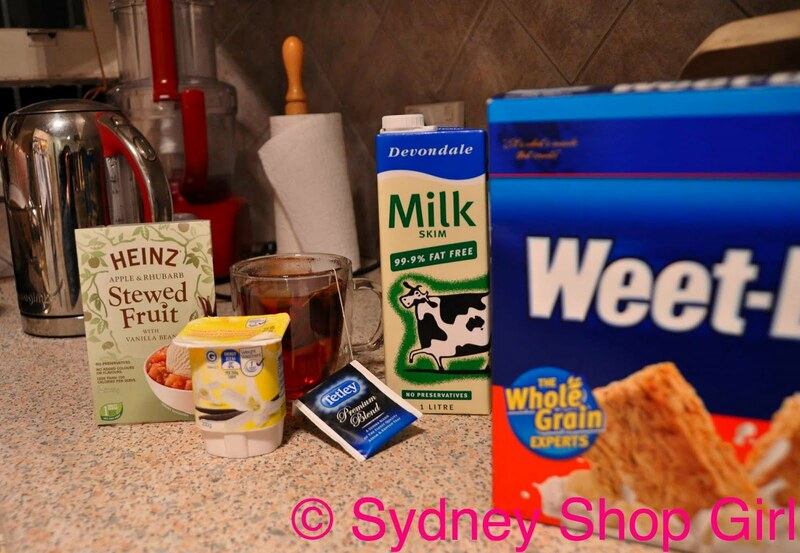 Weetbix. A Dying Swan. It was only last night that Eurovision blazed across our screens via SBS in a dazzling display of glitter, spandex, thigh high boots and big hair and makeup. As I watched Moldova's entry, I couldn't help but miss Paris (the Hilton). She has been awfully quiet of late, but her legacy of hair, party dresses and eye makeup lives on. I hope Paris is well and merely cocooning until her transformation is complete (surgical, spiritual or otherwise). Belgium's entrant showed so much restraint fashion wise, he was actually making an outlandish fashion statement in his collared shirt and boy next door hair. Fast forward to a rather soggy Monday morning. Heinz, you've done it again - your stewed fruit is ace. 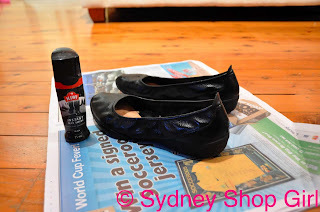 Microwaved on high for 20 seconds, it makes your Weetbix and yoghurt transeasonal in the manner of a black skivvy for your shift dresses. I wonder if the stewed fruit would make a winter version of truckies scones (split weetbix with jam and margarine or cream if you're fancy). Spectator training continues in earnest at SSG Manor. 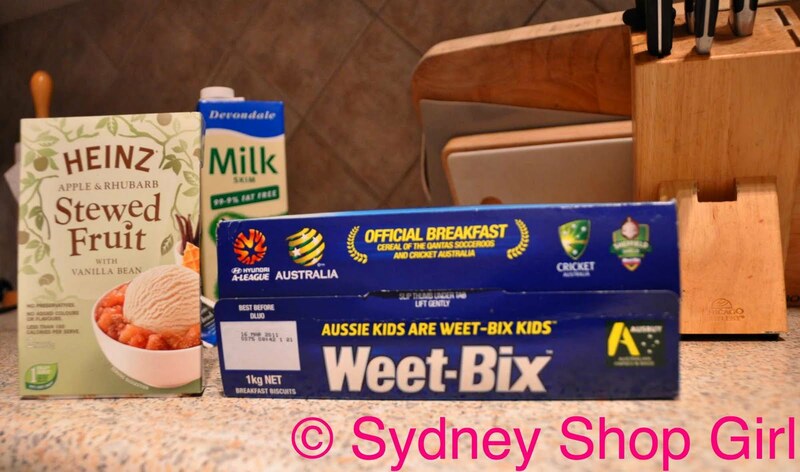 We partake of the official breakfast cereal of the Qantas Socceroos and Cricket Australia. Albeit it in smaller serves than the professional athletes. 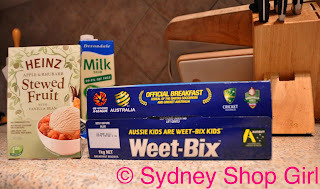 After all these years of eating Weetbix, I still don't know the rules to either cricket or soccer. The boys at work did try to teach me about cricket one year. They had basically hijacked the common room remote to watch a test match. Then, with the aid of hand drawn diagrams, one person explained the rules and what all the people on the pitch were trying to do whilst another physically pointed out the corresponding activity on screen. Oprah was well and truly over that day by the time they were convinced I sort of understood. I think the boys also made me miss that afternoon's Entertainment Tonight (which, in Australia, was on air around 4pm due to differences in time zones) too. Chunk and shine was embraced in all its glorious permutations today. I did indeed wear the my RPE Faux Fuchsia necklace but chose also to reinvent the phrase by shining my chunky soled shoes before work today. Good grooming begins at the feet and it is impossible to escape the Socceroos at the moment, they are watching my every move and infiltrating my daily life in a more pervasive way than facebook. It was one of those days at work today. I think I talked for about 7 hours straight - to people, to powerpoint slides, myself.... My stores of interpersonal skills were severely depleted by the time I hit the road to yoga. Thankfully, it was my favourite class - forward bends. Except today, I choose to call it dying swan. Length from the spine, head upward as you reach forward over one straightened leg and the other bent on top of itself - there really was only one kind of swan I could possibly have looked like. I've never tried Heinz stewed fruit, thanks for the tip! 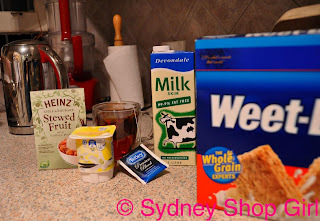 I find Weetbix alone, can get a bit boring, day in, day out...will give it a shot! The Eurovision Song Contest is a hilarious affair. The music is pure trash over and over, but my girlfriends and I have cheese and bisquits parties every year while watching the show, and that's at least great fun. This year, all the songs were particularly bad.